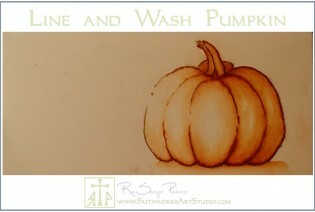 Welcome to the brand new Faithworks Art Studio Courses!! 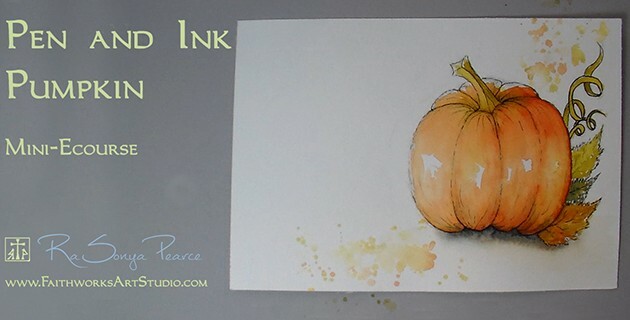 To kick things off, I have created a FREE Pen and Ink Pumpkin Mini E-course. Yay!!! Just head on over to the Course Directory and register to start painting your pumpkin!! I love this time of year, all the beautiful Christmas ornaments. Who could resist painting a few? Click on the photo below to get started painting a trio of ornaments in your favorite color. 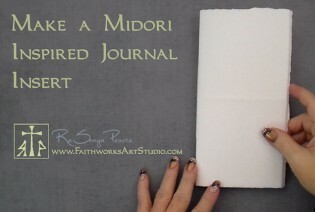 Fill your Midori Traveler’s Notebook or ‘Fauxdori’ with inserts made from paper you love. You can easily make your own inserts with your favorite paper. Click the photo below to learn how!! I love using my Midori Traveler’s Notebook for sketching, but sometimes wish it held more inserts. 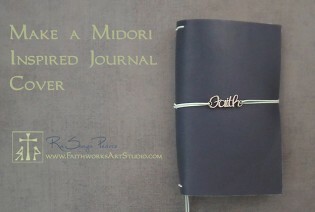 If you like the idea of a refillable sketchbook, it is sooo easy to make a Midori inspired journal! Click the photo below and follow along with me to make your own ‘Fauxdori’ !!! Another New Video is Up! Line and wash is such a basic and classic technique that I wanted to post a quick video showing how simple and fun it can be. Click on the photo below and see what you can do with ink and water! I just posted a new free video! 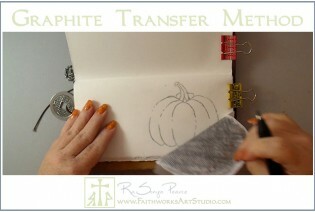 This video explains the graphite transfer method, a basic technique all artists should know. Click on the photo below to go to the video page. 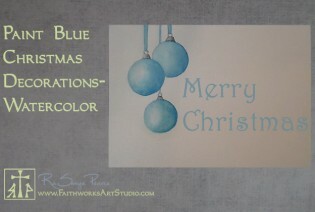 Get the Faithworks Art Studio Newsletter! All images and course content copyright of RaSonya Pearce. Please do not reproduce or copy without permission.